Shizuoka Mirai Energy announced on February 25, 2013, that it would start fundraising through the "Shizuoka Mirai Energy Taiyo no Chikara Fund" (Sun Power Fund) to install solar power generation systems in Shizuoka City. Shizuoka Mirai Energy was jointly established by a non-profit organization and a for-profit company in Shizuoka Prefecture named Earth Life Network and Suzuyo & Co.
Funds were raised through "Securite," a small-scale online investment service run by the micro-investment firm Music Securities, Inc. Investments are 50,000 yen (US$53) per share. The fundraising target of 20 million yen (about US$212,766) was reached on April 25, 2013, which is to be managed for five years. 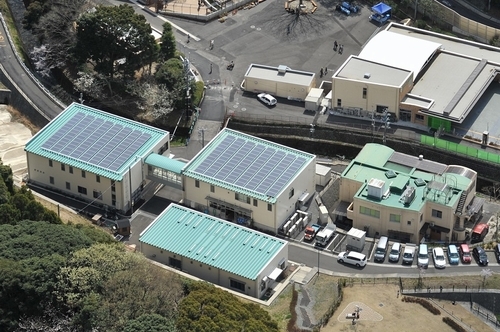 The funds raised will be applied to installations of solar power generation systems that will provide a total of approximately 150 kilowatts of electricity to three places in Shizuoka City: the Shizuoka Municipal Nihondaira Zoo, the Shimizu Nihondaira Athletics Stadium, and the Shizuoka Municipal BanchoCivic Activity Center (Special Support Education Center). Electricity generated from the systems will be sold to an electric company, and the capital and interest will be allocated to the investors from the profits. By providing a system in which anyone can participate through a small investment, Shizuoka Mirai Energy aims at spreading community use of renewable energy created by everyone living in the communities. Shizuoka Mirai Energy also intends to spread this project across Shizuoka Prefecture in cooperation with local governments outside Shizuoka City, and is considering installations of small-scale hydropower and biomass power as well.